It's easy to forget that there have been several different Assassin's Creed titles made exclusively for mobile devices throughout the last decade. Ubisoft's recent announcement of Assassin's Creed: Rebellion is but the latest in a long line of mainline and spinoff titles that borrow from series canon, offering a fresh new chance to jump into the franchise's signature lethal and historically-inspired action. 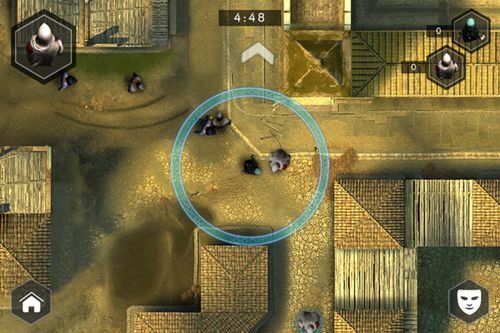 For right now, Rebellion is still in development -- however, players who are eager to get back into the mobile assassination realm can check out one of the series' many other mobile titles, all of which we've conveniently featured below. Assassin's Creed: Rebellion sees players making a return to 15th century Spain in a new RPG with a strategic flair. Rebellion will put players in charge of building and managing a fortress, putting together a team from over 40 different assassins, and taking on quests in an attempt to quell the Templar menace. The game will include over 20 unique characters as well as several familiar series protagonists, including Ezio, Aguilar, and Machiavelli. Assassin's Creed: Rebellion is currently in development, and the game is planned for release on both iOS and Android platforms. Though no specific release date has been given, we do know that the game will be optimized for devices running iOS 8 and Android 4.1 or later operating systems. Released February 25, 2016, Assassin's Creed: Identity is the current-latest title available for iOS and Android platforms. Set during the Italian Renaissance, Identity allows players to create their own Assassins and take on contracts in iconic series locations like Florence and Rome using the same type of third-person gameplay featured in the series' home console iterations. Players can develop their Assassin's through experience, and will unlock a host of new missions, items, and locations throughout the game's expansive story mode. Assassin's Creed: Identity is currently available for download through the iOS App Store for a price of $3.99. 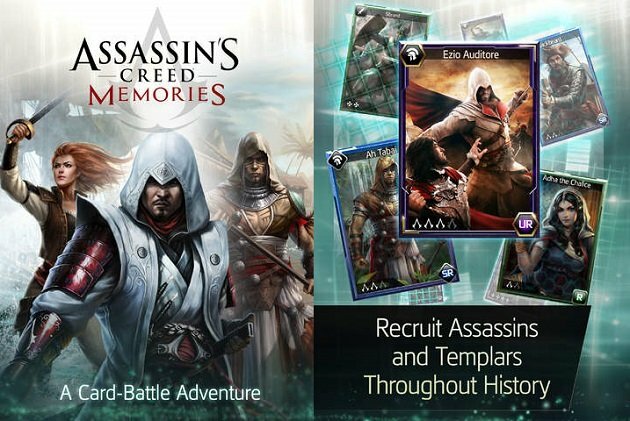 Released August 20, 2014, Assassin's Creed: Memories is a combination RPG and CCG title for iOS and Android devices. Players can use their cards' energy on various points of interest to discover drops like gold, Ability Points, side missions, and Animus Transfers. The exploration mechanic eventually reveals assassination targets, which players can then take down to earn rewards like new cards and new missions. Like with many of the other Assassin's Creed games featured on this list, Memories appears to have disappeared from iOS and Android app stores, though dedicated series fans with Android devices could find an old copy of the free-to-play game with a little bit digging. Released December 5, 2013, Assassin's Creed: Pirates follows the story of the pirate captain Alonzo Batilla as he continually runs into members of the Assassin's guild as well as various baddies from the Templar. 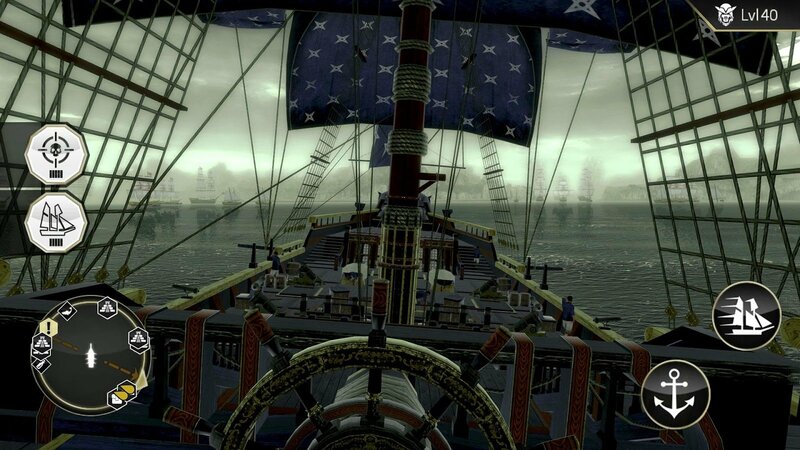 The game places a heavy emphasis on naval combat set during the 18th century, and developer Ubisoft Paris has released three different expansions for the title set in locations like Mayan temples and the Arctic ocean. Assassin's Creed: Pirates is currently available for download for iOS and Android devices, and like many other mobile games set in the series' canon, it's free-to-play. Interested players can pick up a copy through the iOS App Store or the Google Play store. Released on December 13, 2011, Recollection is an odd title in the Assassin's Creed series: the bulk of the title's content centers around a card game included within the package called Tactics. Tactics sets players into one-on-one battles where each player tries to control one of three board regions by playing cards that increase their influence in those regions. Reaching 10 influence in one region grants control of that region, and control over two regions wins the game. Tactics isn't the only element of the Recollection package, however — Recollection also includes an in-game store for Animus credits and new cards as well as the 2011 short film titled Assassin's Creed: Embers. Unfortunately, players will have a hard time getting their hands on Assassin's Creed Recollection, as the app been pulled from the iOS and Google Play stores. However, dedicated Android users could likely download and play a copy online, assuming they have the right hardware. 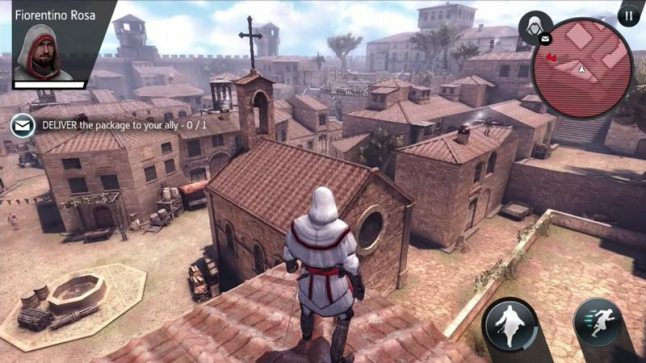 Released October 21, 2011, Assassin's Creed: Multiplayer Rearmed is the spiritual successor to the the series' previous mobile multiplayer outing Assassin's Creed II: Multiplayer. Like its predecessor, Multiplayer Rearmed sets players into top-down matches that play out similarly to the Wanted mode in the series' Animi Training Program. Up to four players could join a single game, or players could make use of a Bluetooth connection to play direct one-on-one matchups. Like with Recollection, Rearmed was removed from the iOS app store some time around the release of Assassin's Creed: Pirates. It's not currently known if it's available for download through other venues. Got a hankering for more free-to-play goodness? We've got a solid collection of our favorite F2P titles featured over on our list of the Best Free To Play Games.